Spring is all about rejuvenation; blossoming trees, new buds and the promise of warmer days ahead. But what about replenishing your locks? The dark and dreary Winter months often leave us neglecting our hair, hiding it under hoods, hats and umbrellas. So prepare for the Summer season with a Spring clean for your hair. 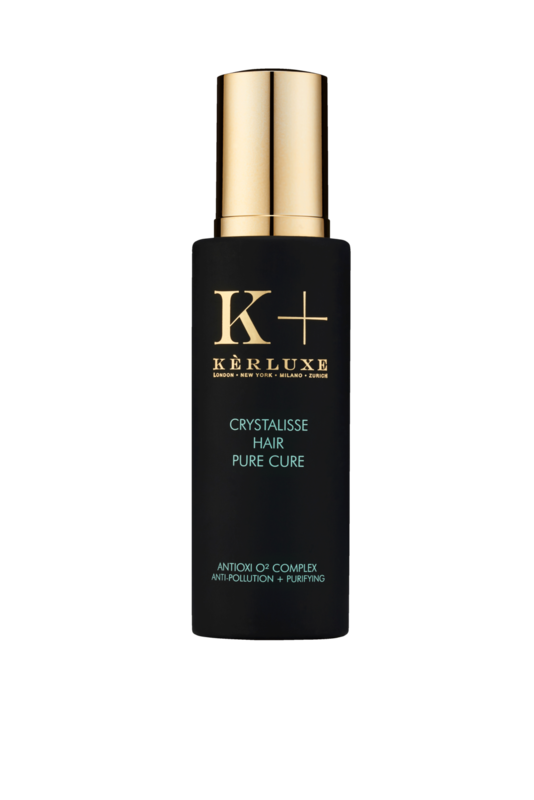 Cult favourite, Kerluxe has your hair needs covered with the Crystalisse range; a selection of purifying and clarifying products designed to detox your hair and provide defence against environmental damage. Born from the heritage and science of Swiss skincare, Kerluxe believe that our hair and scalp should be treated with the same care and attention as the skin of our faces. Just like a skincare routine, Kerluxe encourage us to follow a 4-step ritual to cleanse, hydrate, treat and protect. The result? Beautiful, glossy, healthy hair with every wash. The Crystalisse range has been formulated with key ingredients to treat and calm the scalp. The AntiOxi O2 Complex acts as a shield for your hair, while preserving the PH balance and repairing damaged follicles. Moringa seed oil protects the scalp and hair from external aggressors whilst menthol defends against pollution and product build up. Start your 4-step ritual with the Crystalisse Shampoo (£38) – 250ml, a purifying cleanser designed to combat the effects of urban life. Key actives include Puricare, a peptide found in moringa seed oil and menthol, which not only removes product build up but also soothes the scalp. Simply massage into damp hair, leave to work for 2-3 minutes and then rinse. Next, reach for the Crystalisse Conditioner (£40) – 250ml, a nourishing formula that transforms hair, leaving it stronger, shinier and more manageable. By forming a protective barrier around the hair shaft, key ingredients such as lemon extract protect against pollutant particles and counter their harmful, oxidative effects. Once a week, treat your hair to the Crystalisse Mask (£49) – 200ml. Nourishing, detoxifying and reparative, this treatment mask harnesses the power of moringa seed oil to eliminate toxin build up that can prevent healthy hair growth. Packed full of nourishing oils, hair are and scalp left feeling beautifully hydrated and more manageable. On stepping out of the shower, spritz towel-dried hair with the Crystalisse Hair Pure Cure (£49) – 150ml. This leave-in lotion supports the oxygenation of the scalp, preserving the integrity of the hair structure and creating a lasting foundation for strong, shiny hair. The Crystalisse range is delicately fragranced with notes of white florals, comforting musk and vanilla; the ultimate antidote to polluted city air. Refreshed and free from congestion, the innovative formulation leaves locks shining and radiant, ready for the Summer.